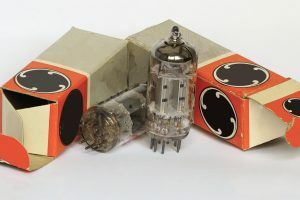 Some guitarists switch from the basic and affordable fuzz pedal to try out crazier fuzz pedals at insanely high prices, but not everyone has that kind of budget. This pedal isn’t just affordable. Its price is downright dirt-cheap. The cost of buying one is the same as getting a few cups of coffee from a gourmet café. Yet despite its suspiciously low price, its quality can go head-to-head with its more expensive competition. It’s not only the best in its price range, as it looks great even when compared to pricier models. Yes, we already know it’s inexpensive (to say the least). But for the most part, it doesn’t look and sound cheap at all. The “cheap part” is most evident in the casing. Unlike other fuzz pedals, this enclosure isn’t made of metal. It’s plastic. It works, though you do want to refrain from going too wild while stomping on the pedal. The sound of the SF300 offers a range of heavy fuzz. You’ll notice that this sound will get you to think about the sound of rock music around the 1960s and 1970s. So if you’re going for the Hendrix or Pete Townsend sound, you’ll want to have this one supporting your guitar. This comes with a large on/off switch, and there’s a blue LED light to tell you if it’s on. You can power it with a 9V battery, or you can use your own PSU-SB DC power supply. It features a three-way Mode Switch, and this allows you to pick among the three available fuzz modes. You have the classic fuzz, the grunge fuzz, and the Gains Boost. Each choice offers a distinct tonal foundation, which you can then adjust further with the remaining four knobs. 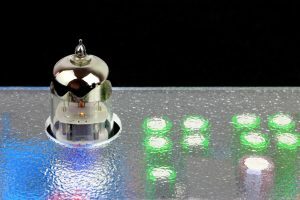 The Level knob sets the output volume and the level of distortion you get into your guitar sound. The higher Level setting you use, the less clean sound and the greater overdrive you get. Then there’s the Gain knob. The higher you set this knob, the more distortion and fuzzy your sound gets. Here you control how “heavy” your sound becomes. The last two knobs are for the Treble and Bass, which give you a way to set the higher and lower frequencies. It’s your basic equalizer setup. Set the treble higher to get a much brighter sound and boost your low ends when you crank up the bass. As we’ve mentioned several times now, this is so cheap it’s ridiculous. But it’s also perhaps the only cheap fuzz pedal that’s worth looking at, as its direct competitors are much more expensive. You really can’t find any other fuzz pedal as good as this one at this price. 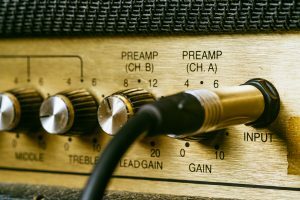 It’s easy enough to use for beginners, which makes it a really nice experimental device for newbies who want to see what else they can do with their guitars. It’s easy enough to use for live shows. The blue LED light tells you if it’s on, and on a dark stage it’s easy to find. The three different modes offer distinct tonal identities. This can give you several different sounds with a single fuzz pedal. The Fuzz 1 option sounds creamy, and when you set the treble too high, it can really sound bright. The Fuzz 2 comes with a scooped midrange that’s actually similar to the menace brought on by the Big Muff. With the Boost mode, you can really push the amp into overdrive. 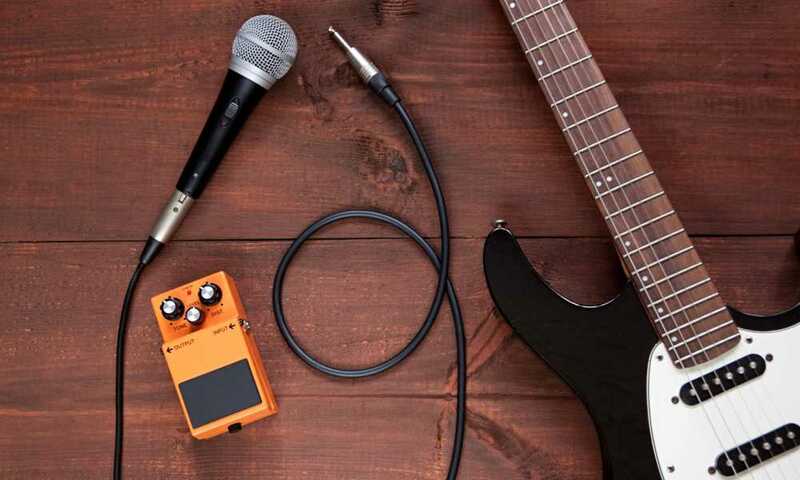 With this, you can sound like Jimi Hendrix. Of course you’ll want to practice your skills, but this gives you that same sound nonetheless. Obviously, the plastic casing is the one feature here that can make you hesitate. Then again, it’s actually sturdy and durable, as long as you aren’t a heavy stomper. 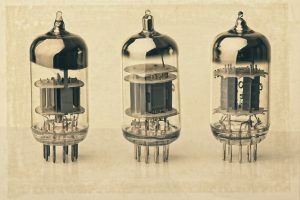 The sound is a bit old-fashioned for some folks, as it doesn’t quite get the grunge tone that some people may be looking for. This is perhaps the ideal fuzz pedal for beginners, as it offers numerous choices and a nice fuzz sound for an insanely low price. Even if you do have a larger budget, you may be tempted to get this as a backup. The three different modes offer options, and the controls can really let you define the sound you want to make. 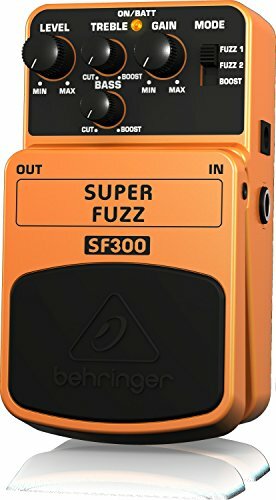 With the Behringer Super Fuzz SF300 3-Mode Fuzz Distortion Instrument Effects Pedal you get that fuzz that doesn’t sound cheap at all.